Organic Root Stimulator Lock and Twist Gel add moisture to you hair without leaving a sticky build-up that's often found with beeswax. This gel will tame your curls without making then feel greasy. It has a very light scent of coconut and stays on the hair as it dries and doesn’t leave any flakes. It can be used just as well on wet hair as on dry. This specially formulated gel contains no alcohol or beeswax and will not cause flaking. 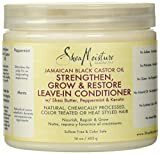 It allows you to style and/or touch up your hair and is ideal for those with locks and twists. Many consumers use beeswax or gels with alcohol and sodium hydroxide (lye) to style their hair, but these products cause problems such as dry brittle hair, build-up, flaking, and in some cases, hair thinning or hair loss. In the past the only way to get the right balance of hold and moistures was to mix different oils, gels and waxes together. The use of Lock and Twist Gel™ results in twists with a fabulous shine and hold. ORS™ has developed a product that gives natural hold, while adding moisture and shine to the hair. 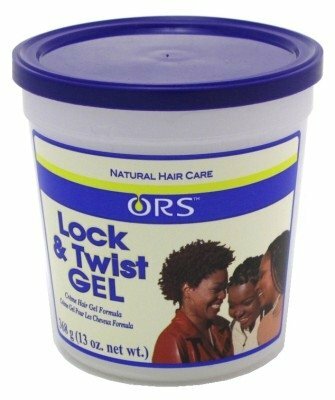 ORS™ Lock and Twist Gel™ is different from other gels on the market because it does not contain alcohol or sodium hydroxide (lye). 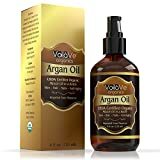 It doesn’t dry out the hair It doesn’t cause excessive flaking It adds moisture to the hair Doesn’t leave a sticky build-up that is often found with beeswax. Using Organic Root Stimulator Lock and Twist Gel results in a twist with a fabulous shine and hold. This gel is lightweight and provides great shine and hold as well as controls frizz. In addition to these benefits this lock and twist gel is very moisturizing, easy to use and it washes out completely. Pre-mixed creme formula combines moisture and hold. Brand New! Manufacturing unit Direct! Packaging Might Fluctuate! Caution: for external use only. Avoid contact with eyes. If contact occurs, rinse with water. Keep out of reach of children. To comb twist, free hand twist, or double strand twist: begin by shampooing hair with Organic Root Stimulator® uplifting shampoo, then condition with Organic Root Stimulator® hair mayonnaise. Section hair and apply lock and twist gel to the sections. Twist the hair with a comb or fingers. For best results, set the twist under a warm dryer. Then apply Organic Root Stimulator® anti-itch scalp oil to the scalp. To touch up twists or locks in-between shampoos: cleanse hair and scalp with Organic Root Stimulator® Herbal Cleanse™. Section hair and apply lock and twist gel to the new growth. Palm roll or re-twist the hair to touch up. For best results, set the locks under a warm dryer. Then apply Organic Root Stimulator® anti-itch scalp oil to the scalp. To refresh and maintain locks, twists, and other natural styles: cleanse the hair and scalp with Organic Root Stimulator® Herbal Cleanse™ in between regular shampooing to help eliminate odor and dryness, and moisturize the hair with Organic Root Stimulator® shea butter softening lotion.